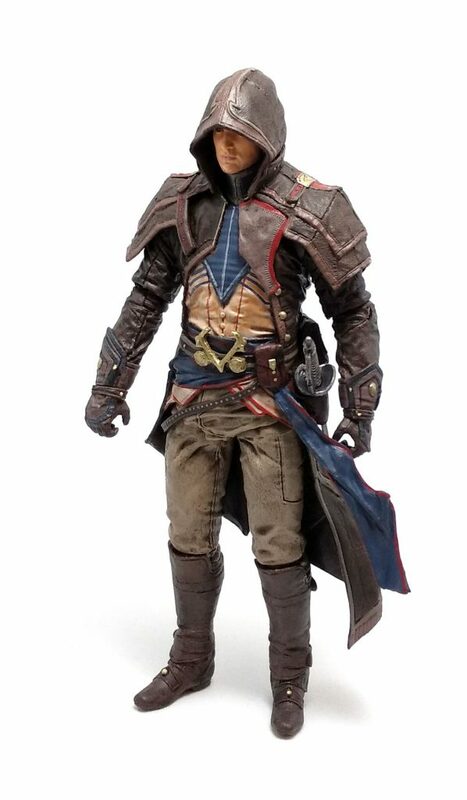 Today I’ll be reviewing the Arno Dorian figure in his McFarlane-designed Master Assassin Outfit from the Assassin’s Creed: Unity game developed by Ubisoft. This particular outfit can be unlocked in the game only by redeeming the code included with the packaging of this figure, on the Uplay website. 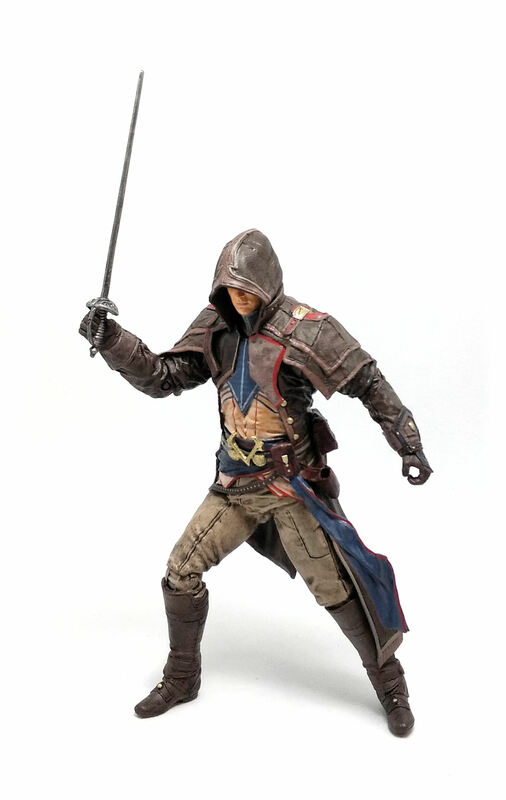 The game is set in late 1700’s, so the McFarlane design reflects a period-appropriate appearance while retaining the familiar traits from previous Assassin garment designs. Arno’s Master Assassin Outfit features a leather hood piece attached to a frock coat cut asymmetrically, riding pants and knee-high boots. The amount of sculpted detail in this figure is quite impressive and the texture on each piece is nicely done. The belt Arno wears over his sash has a loop to carry his sword, as well as a couple of leather pouches. Articulation is very well hidden into the character design, and this time around the hip joints actually provide a pretty decent range of movement, although kneeling and/or crouching are entirely out of Arno’s repertoire. 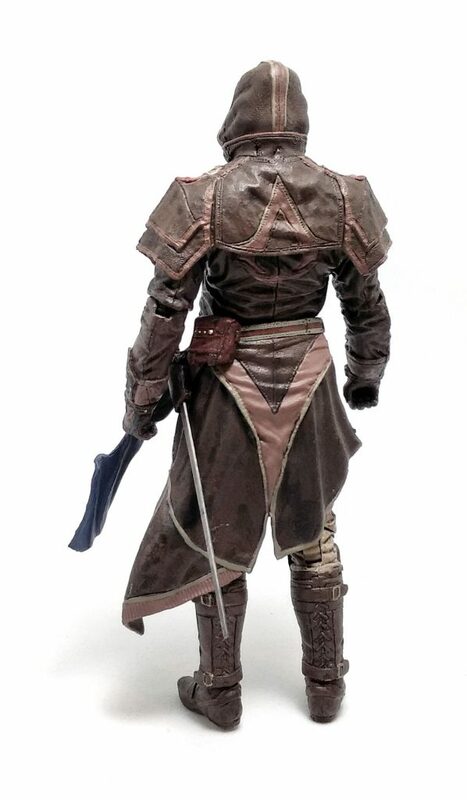 I really like the color scheme on this figure; the color palette consists of a rich variety of browns selected for the garments and leather gear, and includes discrete flashes of color to liven up the overall scheme. Arno’s face was painted a little on the pale side, but it was given a subtle wash that works well enhancing the shadows. Of course there are small smudges here and there, but the overall look is quite coherent. 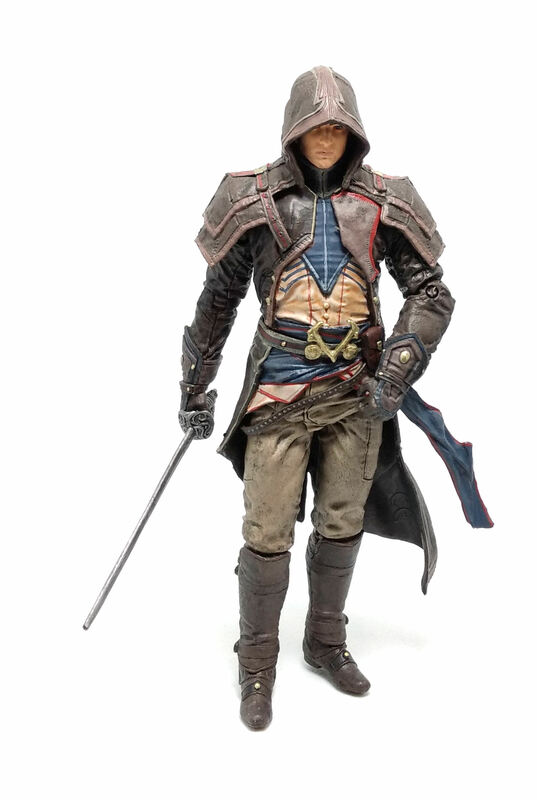 The only aspect where this Arno Dorian figure falls short is in the accessory count. 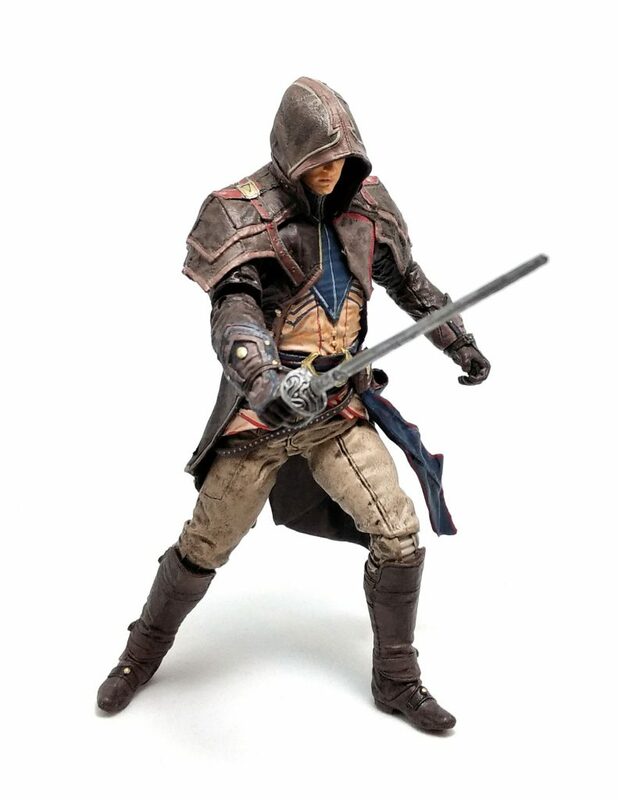 Arno comes armed with only a rapier; furthermore, he lacks pegholes in his forearms that would have allowed to maybe borrow some of the extra blade accessories from other versions of this character. Despite his baffling lack of accoutrements, I still think this version of Arno is one of the finest examples of what McFarlane can produce for this collection.